Just mounted components on chassis ,Driver is ECL82(6BM8)triode connection. chorke transformer(80H 10mA)and hot side directly conected to G1 of 6550.
plate current and sound are changed depend on plate current value. out put are 2 position swiched 8 and 6 ohm. Audio Transformer.OPT-10SR model will be get soon from Touei Transformer Co.
OPT-10SR is with low cost black metal case so not necesary to use Transformer Cover. please use ECL82 is RDF NOS or mullard etc.new ECL82 does not get good sound. 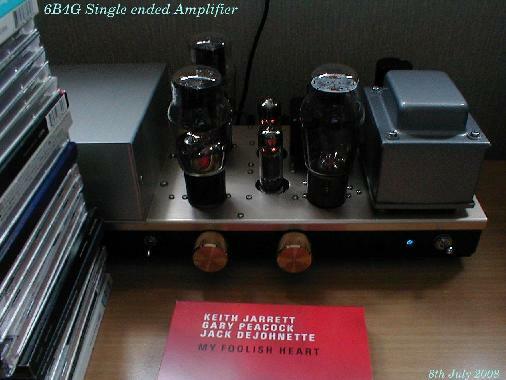 I tried varios valves and sound is very fine.I thought better than 300B. 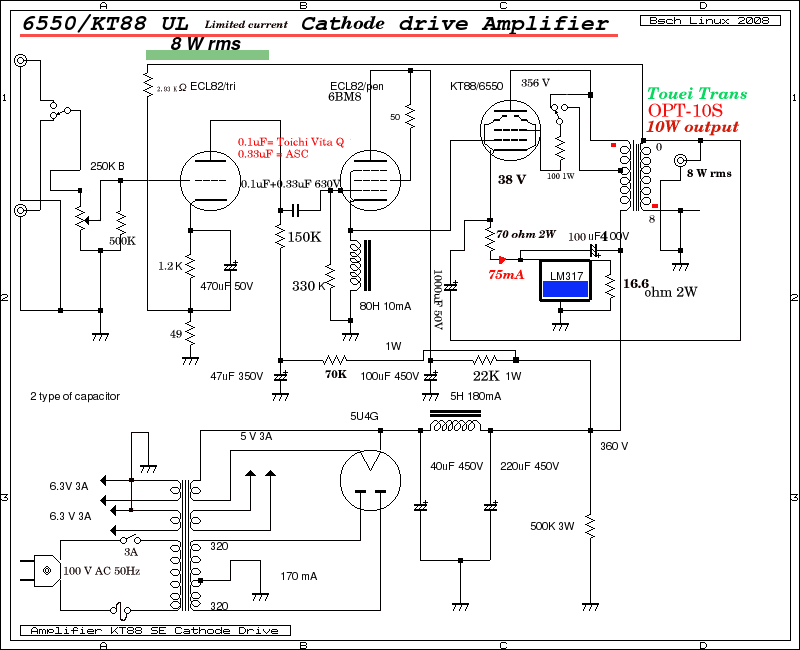 KT88 UL is just like 300B sound to get.do you believe ? Tested : EL34 EH , EL34 Telefunken 1970 , 6550 EH, 6550 GE,6L6GC Svetrana,6L6GC Sovtec. any way I will show you some pictures. 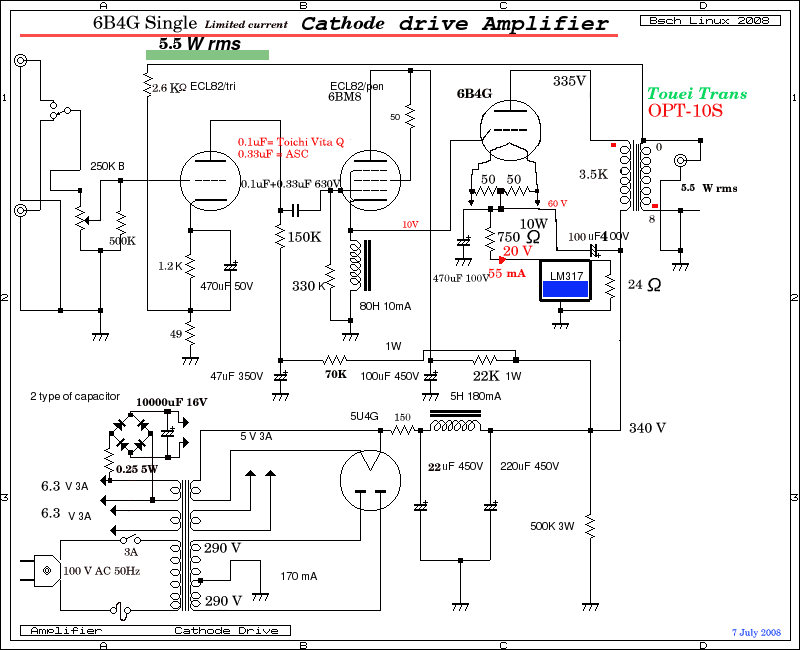 Power drive needed for 6B4G SE in generally.circuit is just same as 6550 SE. many person said 2A3 and 6B4G are same valuve as a same charactor . high than 2A3(RCA).in generally 2A3 is 2.5Kohm but many case use 3.5K for 6B4G. 6B4G filamnt power 6.3W but 2A3 is 6.25 W for filament comsamption power. Ig high so not suitable by penthode drive with CR coupling. 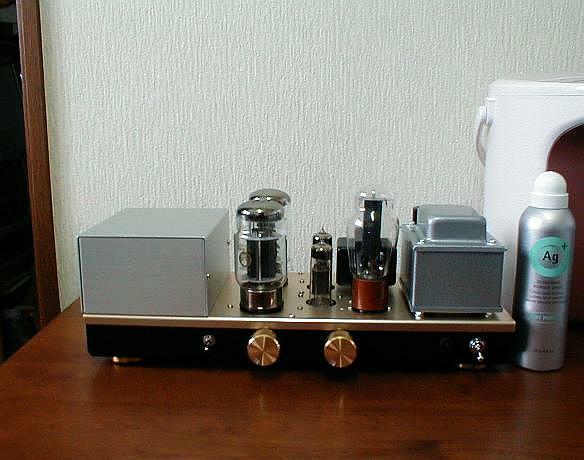 6L6GC triode mode and Sylvania 6B4G is Indirect valve. really 6L6GC triode getting power around 3W.H type , Twin Plate Type and mono plate(New). But 2A3 and 6B4G are same charactor Valuve in general. different.you know 6C4C is same family of 6B4G but sometime 6C4C and 6B4G are same. filment power is slightly more than 6B4G. 6B4G Zaerix is very expensive but 6C4C is inexpensive .but sound are same. on 8th July 2008 from Sakura Chiba Japan.